A wedding day is one of the most important days of a couple’s life and they will be wanting to cherish the memories forever, through the photographs that are taken on the day. 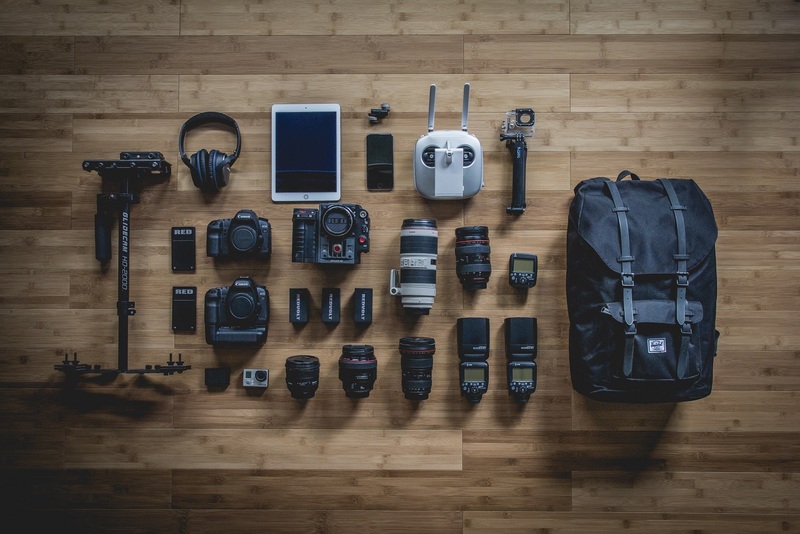 If you’re trying to break into the wedding photography scene, you will need to make sure you have the right kit, not only to help you to capture the perfect pictures on the day, but to give your clients a gift they will adore. From lenses to flashes, reflectors to tripods, The Case Farm have provided a guide to the ideal camera equipment every wedding photographer should have with them, whatever their level of skill. Firstly, a DSLR (Digital Single-Lens Reflex) camera is an absolute must. With these nifty gadgets, you are able to see exactly what the lens is seeing, and thanks to the large image sensors, the camera helps you as the photographer to produce some exceptional photos. DSLRs also have close to a zero lag time, meaning that you can easily capture the shot you want. If you haven’t already invested in a DSLR, now is the time to do so and with many to choose from, you’ll have no trouble finding one for your budget. Try to opt for one with a full frame rather than a cropped sensor. You are able to get more of your subject into frame than you would with a cropped sensor. The Canon 5D is the perfect example of this, but there are plenty other, similar DSLRs on the market. Don’t forget a reserve camera! A back up camera is an absolute must, in case your primary DSLR suddenly lets you down halfway through a shoot. As a professional wedding photographer, you don’t want to be letting your clients down halfway through their special day, so make sure you’re covered in case something happens. It doesn’t have to be a camera as costly as your primary DSLR, just something that will do the job in the unlikely case your camera fails you. Any professional photographer will have a number of different lenses, to be able to capture the right shots perfectly. A standard lens will help you to capture moments that you might otherwise miss when using other lenses. A wide-angle lens will be perfect for wide wedding portraits, as you are able to capture photos of a number of people closeby, without having any of their features looking stretched, distorted or dimmed. An 80-135mm fixed lens is perfect for a close up of the bride or groom, especially when you want to frame just their head and shoulders. Telephoto lenses with a focal length between 135 and 300mm are ideal for wedding ceremonies in big venues, especially if, as the photographer, you are snapping from the back. They allow you to get close to the action from far away. Of course, there are plenty of other lenses worth trying out for yourself as you progress, but these lenses are a great place to start. Although you can capture stunning photography by simply using your DSLR and each of its lenses, by investing in a few extra accessories, you are fully equipped to master the art of wedding photography and produce some showstopping photos. Add a tripod to your list to help you capture shots that need slower shutter speed, such as low light evening shots or for dimly lit venues. Flashes will also help with darker shots, too. Take a flash battery pack along with you, for taking shots of the father of the bride’s and the best man’s speeches, for example. Multiple memory cards are a necessity, as you’re bound to take hundreds, if not, thousands of shots of each event. Don’t scrimp on the price when it comes to memory cards, as some of the cheaper alternatives can bring problems when downloading the photos after the event. Extra battery packs are always a good idea too! You don’t want to be part of a wedding that’s a little longer than your usual events, only to have your battery drained halfway through the day! Finally, to help transport all your equipment both to the venue and around the various locations and settings throughout the day, invest in a protective camera case. Opt for one that’s both dustproof and waterproof to protect your equipment as much as possible. So there you have it! By following this handy guide, you will be able to enjoy making the most of your time as a wedding photographer. Not only that, but you’ll make the bride and groom’s day too, when they get to look back at their special moments together through the fantastic shots you have captured for them.